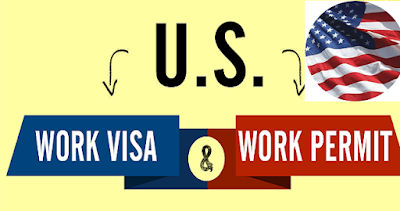 How to Get USA Work Permit without Lengthy Paperwork.Usually people, who wish to be a citizen of united states, must obtain a VISA whether it is a non-immigrant VISA or an immigrant VISA for more durable stay in the country. Work VISA is given to those people who want to enter in US for work and employment purposes which they want to last for a certain period of time. These VISA are not considered permanent or indefinite but they still need some prospective and requirements which are to be done properly. Many people do not want to go through the hassle of lengthy paperwork and want immigration services immediately. For such people, many options are available that they can easily access by themselves or by the help of a good travel agent. Many people fill out the application forms of VISA that are given online for a non immigrant or immigrant work VISA. After the completion of these online forms, they should be printed along with the confirmation letter so the process of interview can be started. With this application form the person must also upload one latest picture which should be according to the demanded format as explained in the requirement section of the form. For people who are applying for work VISA for USA, usually an interview is taken which may be subjected to some kind of renewal according to the type of work VISA applied. Usually the United States Embassy or Consulate schedules your interview in your home country. Timing of the interview and the venue may be different for different people and according to the category of the VISA applied. For this reason, VISA should be applied early and the applicant must be aware of his interview timing and location during paperwork processing. A passport is required which should be eligible for travel to United States. It should be valid for at least six months or more at the time of travel unless it has been exempted by the country specific arrangements and agreements. VISA application form is also required in printed form along with the application fee pay receipt. This amount will be specified in the documentation and must be paid before the interview can be conducted. Receipt number should be known by the applicant for his or her approved petition. Your long term plans, family relationships and economic situation also needs demonstration at the time of VISA application but it is not mandatory. During the interview, the counselor will determine if you are eligible to get the work VISA or not. They will ask you required questions and assess your admissibility this way. After you are done with the verbal interview, your digital fingerprint scan will be taken after which your VISA will be sent for approval. After VISA is approved, you will have to give a VISA issuance fees after which you can pick it up or have it delivered at your doorstep.